Size folded H148, W85, D104cm. It’s Reebok. The company will not risk its 59-year reputation for anything less. Being one of the most trusted sports and fitness brands worldwide, Reebok will always strive to be one-step ahead of everyone else. From the design to the specs that make it stand out from other treadmills, clearly, Reebok has taken a lot of consideration in giving birth to their ONE Series GT40s. The MP3 player, built-in speakers, hand grip pulse sensors, space-saving design, auto stop safety system, 5-inch LCD that displays real-time statistics and incremental buttons on handlebars also add up to its repertoire. And in their GT40s Treadmill, they have carefully engineered the machine to meet today’s standards of sports performance. From the initial single leg-leap to the push-off momentum during a single stride motion, GT40s takes care of the user with its unique three-sectioned cushioning system. The only area of improvement we can find is increasing the dimensions of the running area for athletes over 6ft tall who ideally would have longer strides. A size dimension of 18” x 55” like other performance treadmills would be the perfect modification. 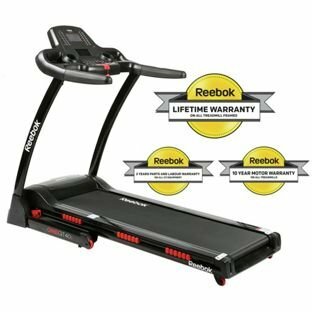 What is the Reebok ONE GT40S Treadmill ? Athletes of all kinds require endurance that will let them bring out their potential for a long, sustained period of time. Fitness experts and trainers need to watch their clients progress and performance in order to make sure they meet their fitness goals. The minds behind Reebok tailored the GT40S treadmill to meet these, a high-tech piece of equipment that will aid athletes to push their capabilities further. As well as being an easy-to-use machine for people who aim to be fit and healthy. All these without compromising stylish looks with the right value for money. You will always have the feeling that you are a professional athlete when you train with the GT40S. As far as design is concerned, we gave this a perfect 5 out of 5 for its sleek overall finish, colour combination, placement of buttons and handlebars. After all, it is the appearance that caught our eyes. Easy to fold away too. If you think having all the technological features mentioned above is not enough to give GT40s a perfect score, please note those 3 sets of reddish-orange features between the running belt and the wheels just above the Reebok logo. Those are actually cushions that have specific purposes per section. The company refers to them as Zones. Located nearest to the motor, its job is to support the heels upon contact with the belt to lessen the pressure. This cushion located in the middle ensures the transition is as smooth as possible after passing through zone 1 as well as balancing out weight distribution for each stride. The last set of cushions are located near the rear part of the treadmill, this set is the one responsible for adjusting and assisting the user’s toe-pushing motion. It makes very little noise for a treadmill as decorated as this. 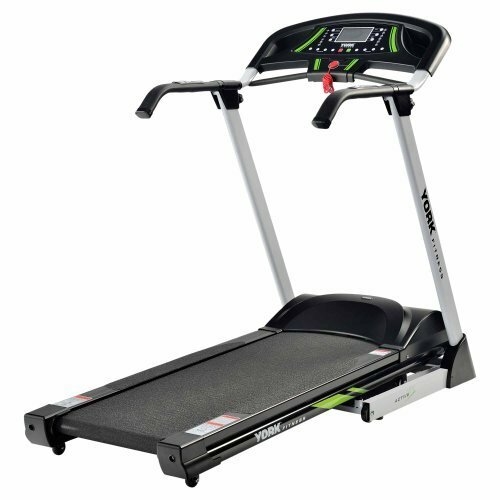 The GT40S matches professional gym club experience as it suits different fitness levels of individuals with its wide variety of workout programs, different levels of running speeds, and easy use of inclines. A 50″ X 15″ running area will make average users comfortable but athletes over 6ft tall might need to adjust their strides a bit shorter to make sure they do not run out of space when sprinting. Storage is not a problem for the GT40S. A treadmill as high-tech and sleek designed as this folds easily just like your average performance treadmill. Wheels attached to the base of the frame make it easy to move to a particular spot in your home or gym. Proform’s 520 ZN offers 18 workout programs which are only half of Reebok’s GT40S built-in workout programs. GT40S looks a bit sassy in terms of appearance. But this is understandable since it is inexpensive compared to the GT40s. The running belt is bigger compared to the GT40S but it is less likely to be as stable since it does not have the same cushioning system that the GT40S has. It is not a bad choice if you are planning to use this for walking purposes only. Good for the fitness-conscious but an athlete or gym owner would be better suited to the GT40S. This treadmill has a 1.25HP motor compared to the GT40S 2HP motor as well as fewer programs when compared to the GT40S since it only has 7. 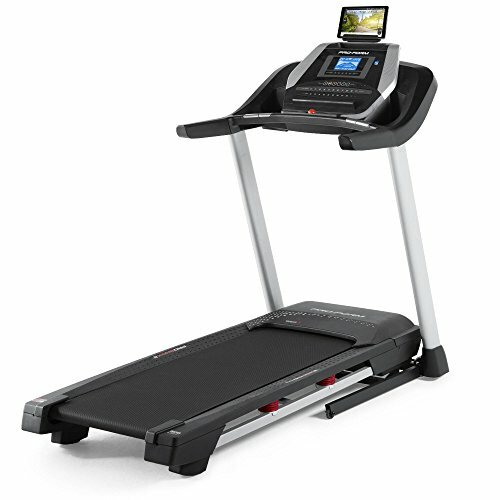 If you are looking to have your own treadmill and are on a budget less than the cost of GT40S, this is a safe choice. It should do just fine if your fitness goal is not to miss your daily dose of regular exercise and not to push your athletic abilities further. At the end of the day, we look at the purpose. Reebok ONE GT40S Treadmill would be a good investment for your health as it appeals to both athletes, gym-owners, or even as simple as the fitness conscious. The extra cash is worth it when looking at the style and the wide variety of workout programs to choose from. A detailed explanation of the cushioning system, plus the included features, helps assure you that it is worth every quid. Marathon training, an asset in your gym, including a brand that is trusted by people with an eye for sports. Reebok’s GT40S is a wise choice.